Café Soi 3 is a food joint and juice bar, located at the heart of Dhaka city -- Dhanmondi, Road #3. The natural and inviting venue, a structure made out of clay, bamboo and lots of greenery, has been inspired by a time past. The outdoor dining area gives one a feel of nature and provides an intimate yet casual dining experience specialising in Indian and Continental Cuisine. 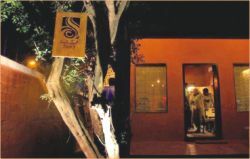 The owners of Café Soi 3 pride themselves on providing attentive and well-mannered service with a focus on customer satisfaction, while also ensuring that only the freshest local and imported ingredients are used in the restaurant. This focus on hygiene, quality food and service has already made Soi 3 a favourite dining experience in the neighbourhood. Their kitchen team has a great mix of youth with local and international experience. They are always keen on keeping up with the latest food trends to incorporate ideas with their traditional and culinary values. They specialise in Indian and Continental cuisine and make it their goal to create great comfort food with a little twist. While working with traditional combinations of flavours, they try to push the boundaries to come up with something special that will hopefully serve as a memorable dining experience. Cats Eye's brand new jewellery line has already generated some very positive reactions, with many admiring the ingenuity behind the designs and the uniqueness of the creations. 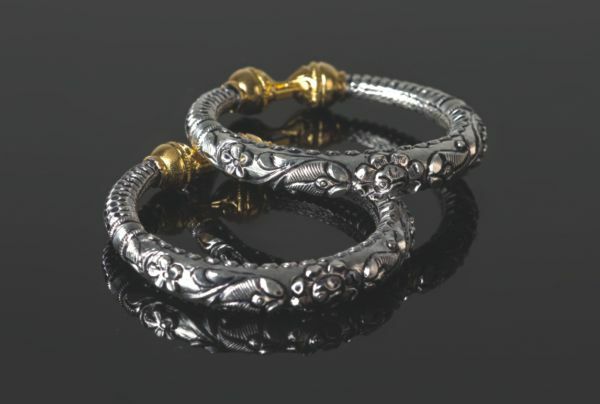 The brainchild of Rummaella Siddiqui, the new line started off when the creator felt that the available earrings, bracelets, anklets and accessories in Dhaka were not different enough. “It really started off as a joke. I began sketching designs to show what was missing and we picked up from there,” Rummaella explains. Although the designs came about in 2008, it took a while to put all the pieces of the puzzle together. The culmination of that is what you see today. Having already collected quite a few pieces, the collection focused on the more 'chunky' pieces of jewellery with bold yet tasteful geometric patterns. All was tailored to the intention of keeping the line very different and infusing traditional styles with the non-traditional ones. It wasn't strictly a fusion of East and West, as the designs also incorporate patterns from the far corners of Africa as well. The fusion is itself used in different accents, with Western elements being accentuated more. The ethnicity is blended in later on, giving the word an almost new meaning. The line uses 100% silver for most designs, explaining the steep price tag that has been associated with the collection. However, there are ones which use more inexpensive materials. The stones used are generally composed of glass or crystal, keeping affordability in mind, while there are some pieces where semi-precious stones were used. The price range starts from Tk.1500 and goes up to Tk.7000. At the end, what stands out isn't the price or the brand but rather the design itself; distinct enough to make you stand out, bold enough to command attention yet simple enough to easily shrug off the 'gaudy' tag. Eid ul Adha And Durga Puja are the most eagerly awaited festivals for every Bangladeshi. This year we are fortunate to have these two in a span of few days. And naturally, the festivities start with our shopping sprees. Keeping this in mind Motif has launched their new collection with the joys of the two grand occasions in mind. The new collection includes adult and kids wear in their three outlets. Contact: Shop # 21, level 2, Anam Rangs Plaza, Satmasjid Road, Dhanmondi;. Shop #210, level 2, Plaza A.R., Sobhanbag, Dhanmondi; Shop #28, level 3, Navana Baily Star, Natok Sarani, Baily road. With the advent of the wedding season, Laser Treats has brought out its Bridal Packages that offer the incentive of making the bride even more attractive and accentuating her beauty to have its maximum effect. The package offers numerous services including Platinum Glow, Diamond Glow, Gold Glow, Silver Glow, Laser Whitening, Body Shaping and Weight Management, Lipolysis, Filler Botox, Skin Toning and numerous others. All of the above require little to no surgery and thus minimise or rather eliminate health complications. Therefore, don't waste any more time and avail the offer as soon as possible. With the all-important wedding season, the peak of Dhaka's social calendar knocking on our doors it is time to start planning the parties so that guests and hosts get the maximum enjoyment out of the events. WAIFA Communications, a luxury wedding planning company, will offer wedding packages for different tastes and budgets. The offer will be valid from 1 November, 2012 to 28 February , 2013. WAIFA's range of services include wedding and holud stage, venue hire and decorations, lighting, dala decorations, floral alpona, mehendi, DJ, band and a professional photography and videography package. If weddings are not what's on your plate this season, then WAIFA also arranges private and corporate events. Last Eid, boutique Shadakalo zeroed in on stripes and lines; this season it's more like a continuation of the same theme. The attires remain the same -- saris, kameezes, tops, panjabis, kurtas and fatuas but the interpretation of the subject -- lines and stripes -- has seen a completely new approach. Also available are attires for the entire family with different themes to choose from. Available at all Shadakalo outlets. True to their reputation, this boutique creates attires that are unique in design, usually done in embroidery, hand block prints, screen print and karchupi. For more details contact Srishti: T94/3 Middle Badda, Link Road, Gulshan. #9850379; 01726588828.